I know years and years ago probably 2010 or so we talked about this issue. 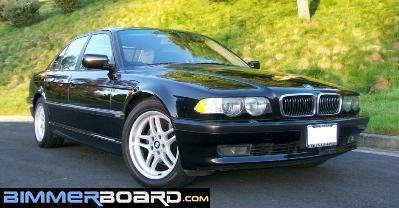 Has anyone ever figured out if the map files that BMW used on the MKIV were similar at all to any other vehicle who is currently updating maps? It seems weird that the map file is so specific that we wouldn't be able to reproduce it. I'm a little pissed at BMW for doing this personally. Maps for the mkiv do get updated right? Or is it only europe that gets updated? I updated my maps with a 2018 release. I had sent an inquiry to TomTom and Navteq years ago about them (one or both) starting to make the maps on their own as they had been making them all along. They both said they would look into it. But when I checked with them again they claimed that BMW wouldn't relinquish the copywrite to allow them to do it directly!